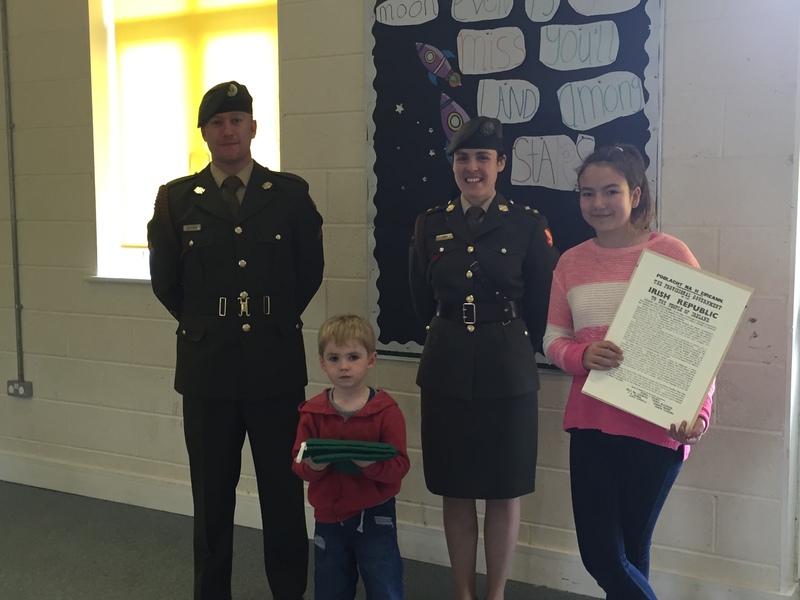 Today, the defence forces visited our school as part of the 1916 commemorations. The Proclamation of Independence was read to our pupils. Our eldest and youngest pupils were presented with a copy of the Proclamation and the Irish flag. We look forward to taking part in the 1916 centenary celebrations on Proclamation Day, to be held on 15th March, 2016.